Here in Bretagne, we are very lucky to have access to some of the best seafood in the world that is fished mere kilometers away from our shore (I think it’s to compensate us for the 300+ days of rain but I digress ;-) One such beast that we get plenty of in season is scallops. Scallops (“les coquilles Saint Jacques”) are wonderful and so cheap in season here in Brittany (about €2.20 per kg) that we eat them in all kinds of ways. Our favorite so far has been in a raw carpaccio with either some olive oil, lemon and crushed pink peppercorns (“des baies roses”) or with a little bit of soy sauce, sesame oil and rice vinegar. 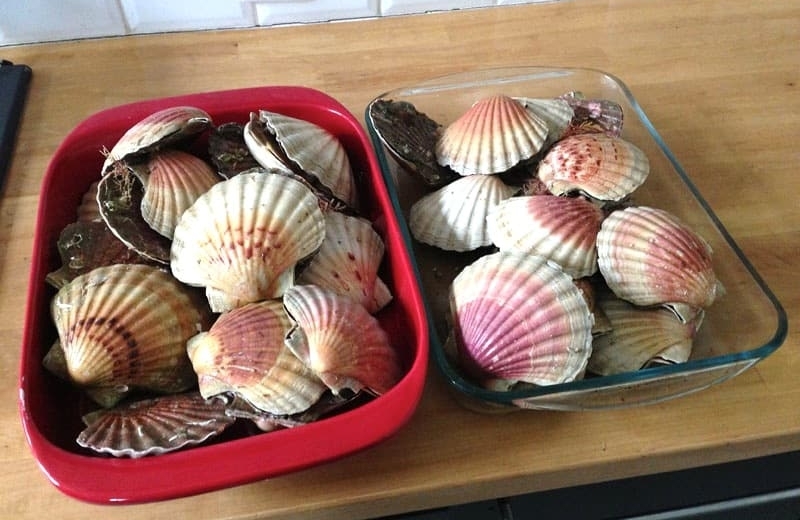 Here is my technique to open them: it’s very easy and will ensure you are getting the fresher scallop possible. By the way, buying them in the shell is much less expensive than buying the nut only. What Should You Do Once You’ve Opened the Scallop? Once you collected the nuts, make sure they are clean (remove the any dark membrane still left and the hard piece from the side). Put them on some kitchen paper and make sure they are nice and dry. If you wanted to freeze them, remove the paper and put them on a flat dish in your freezer. Once they are frozen, you may put them in a bag. Many other parts of La coquille Saint Jacques are edible, and great to make sauces or terrines. 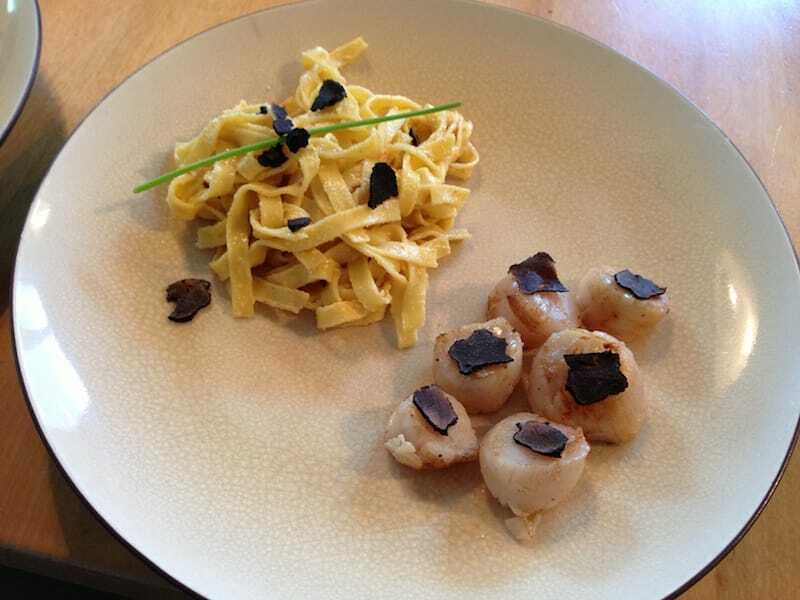 See my Scallops with Truffle and Fresh Pastas in Coral Sauce recipe for an easy to make and delicious example. Ever Tried Scallops With Foie Gras? 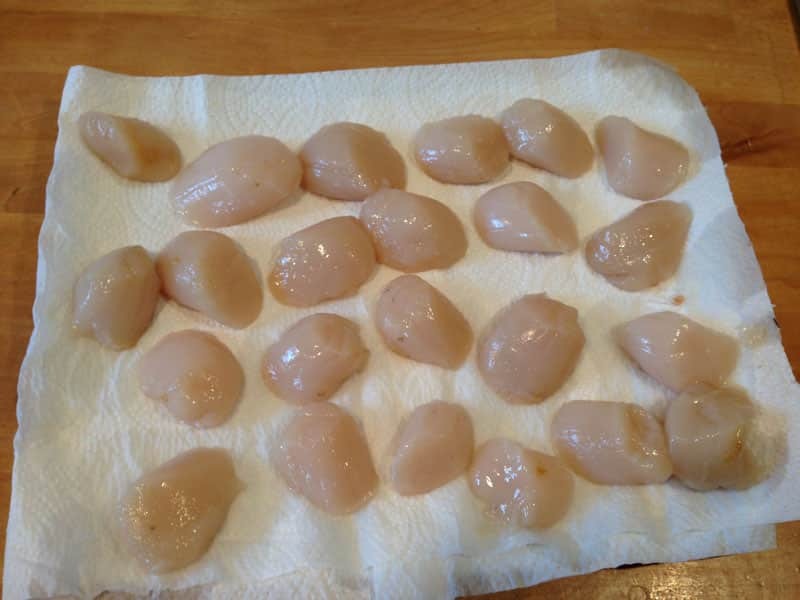 This is yet another recipe I made for Christmas: St Jacques scallops with foie gras sauce. To be honest, the combination sounded weird to me at first: but it was delicious! 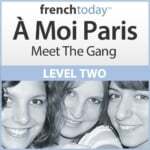 Camille posts new articles every week, so make sure you subscribe to the French Today newsletter – or follow us on Facebook, Twitter and Pinterest.